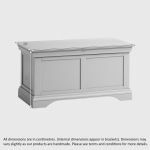 Great for adding extra storage space to your bedroom, living room, and more, the Arlette grey blanket box seamlessly blends style and function. 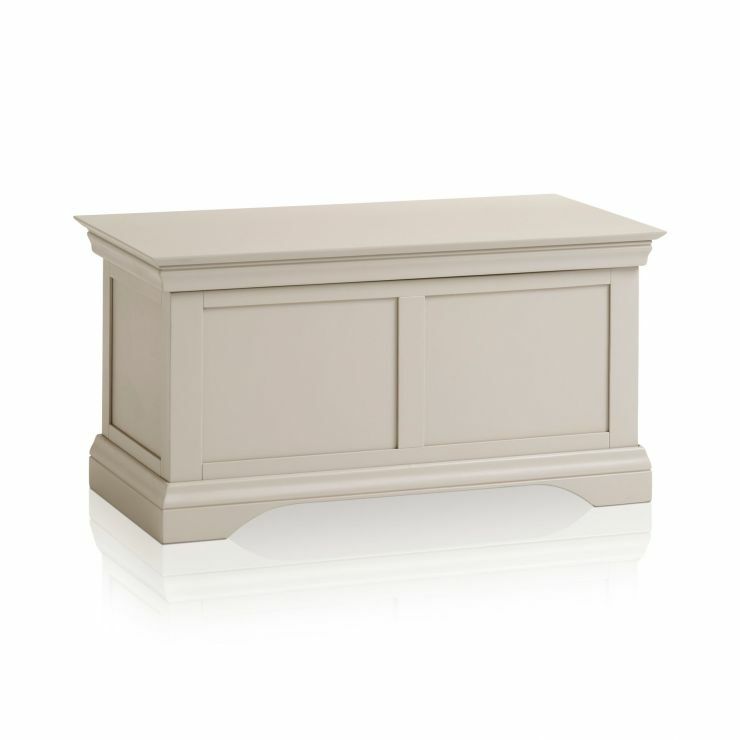 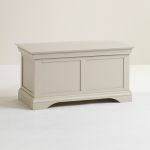 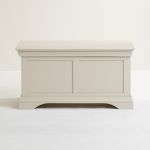 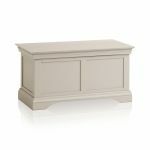 Painted in a crisp versatile mid-tone shade, this blanket box will complement a range of decor schemes, with decorative cornices, arched base, and panelling detail. 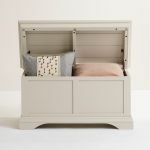 The deep storage compartment is accessible thanks to an easy-to-use opening mechanism, and is perfect for storing spare linens, throws, childrens toys, and more. 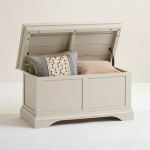 Bring home the Arlette blanket box today, and don't forget to browse the full range to discover pieces for every room in your home.